We took a quick flight from Helsinki and arrived in Stockholm, Sweden, arriving at our fourth country on this trip. We again rented a car and began the drive to Kalmar in the south, where we spent our first night. 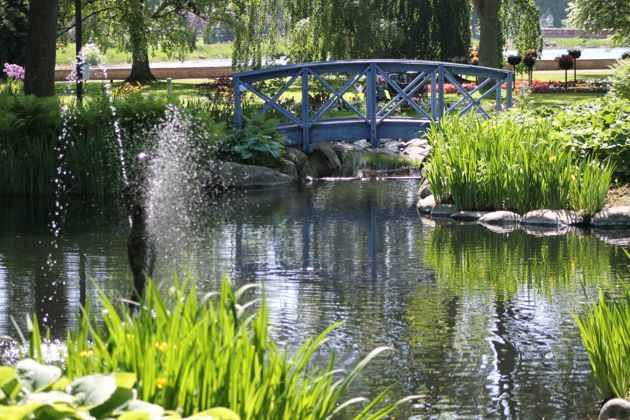 We woke up early the next morning and walked from our hotel to the nearby Kalmar Castle, passing beautiful parks and gardens along the way. 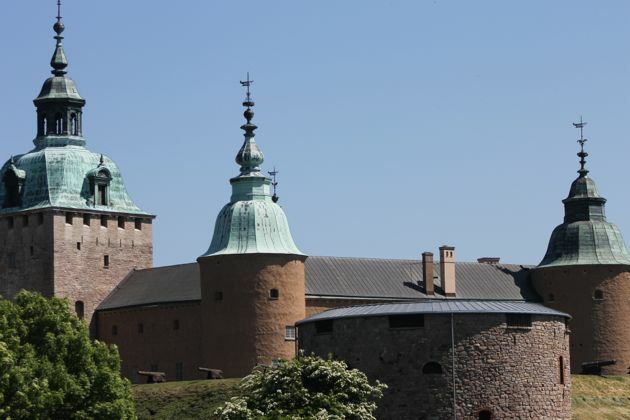 Kalmar Castle offers tours of the grounds (in English and included with the cost of admission) in which you can learn about its interesting history—in addition to being a medieval palace it was also once a prison and a distillery before being restored to its original grandeur. You can also explore the castle on your own, and if drawbridges and dungeons aren’t your cup of tea, there are plenty of birds to see on the estate. 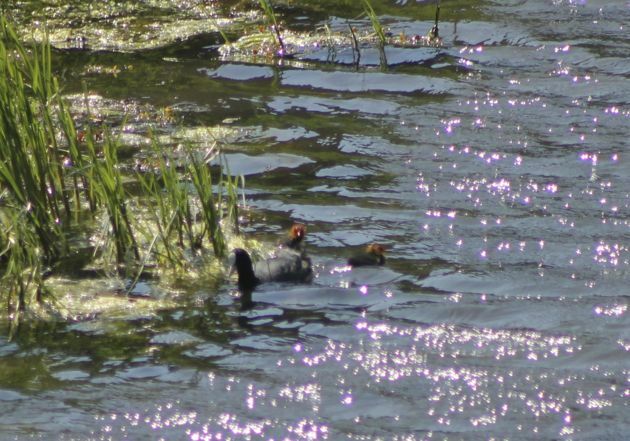 Eurasian Coot and more babies! After leaving Kalmar we drove to Southern Öland Island, a UNESCO World Heritage Site. 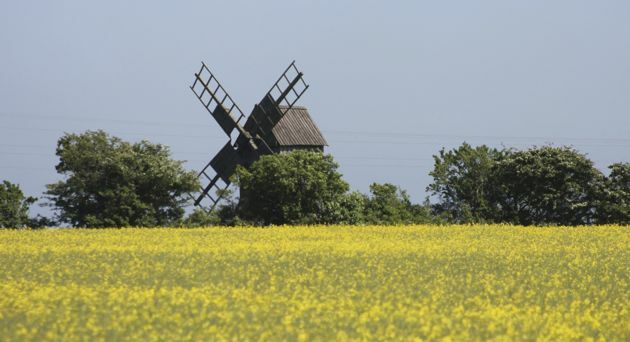 This island is home to roughly 400 wooden windmills that pattern the landscape and Ottenby Nature Reserve and Lighthouse on the southern tip. Ottenby Nature Reserve is run by The Swedish Ornithological Society and visitors can observe researchers collecting data and birds being caught in the mist nest and funnel traps on site. This is truly a bird-lovers dream-destination. The most recent checklist of birds seen in this region numbers 417! Just off the coast, hundreds of birds can be readily observed, including cormorants, swans, gulls and terns. 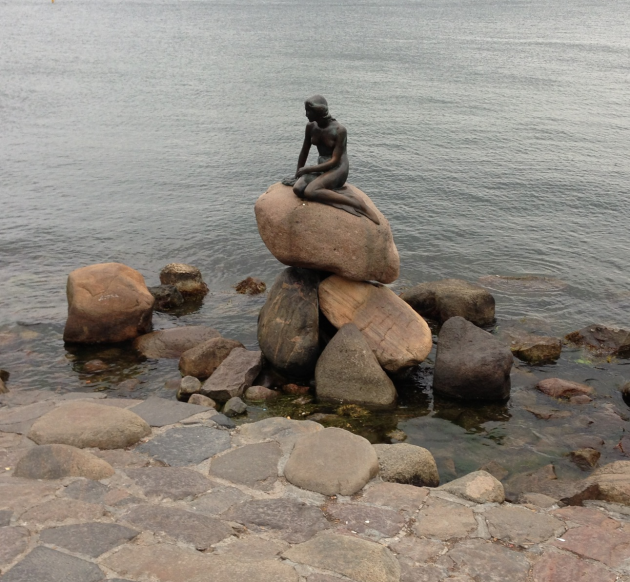 The following day we drove to our hotel in Malmo in the southern part of the country, where we took a 35-minute train ride across the border to Copenhagen, Denmark. We did a little sight seeing with the intent of seeing Edvard Eriksen’s bronze statue of the Little Mermaid statue. This modest statue has become a target of vandals and political activists over the years, but it was a pleasure to see her up close. In the trees and park around her you can find many magpies, further adding to the beauty and fairytale nature of this scene. I also spotted a Grey Heron as we walked back to our hotel. Eventually we arrived back in Stockholm to explore more of this city and take in the sights. I was pleasantly surprised by what I found in the park that sunny day. 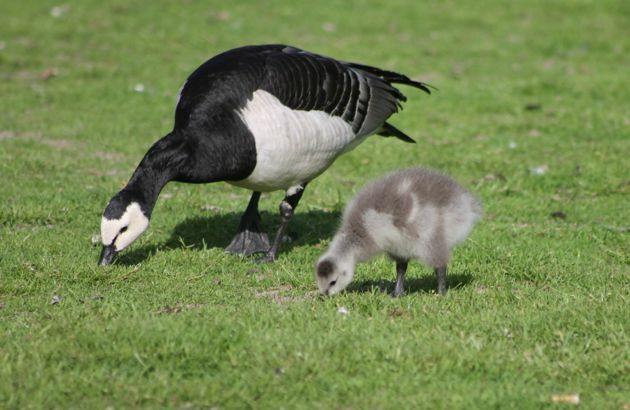 Barnacle Geese and their downy-grey cygnets were everywhere, grazing alongside picnickers and sunbathers. Last November, my family and I were visiting my sister in Long Island, New York when I got an email alert that both a Barnacle Goose and Greater White-Fronted Goose were spotted out on Shinnecock Bay on the east end–two uncommon birds that I had never seen (not surprising since I just started, but still sounded good to me). Much to my family’s dismay I cut our time short and took off “twitching” after them. 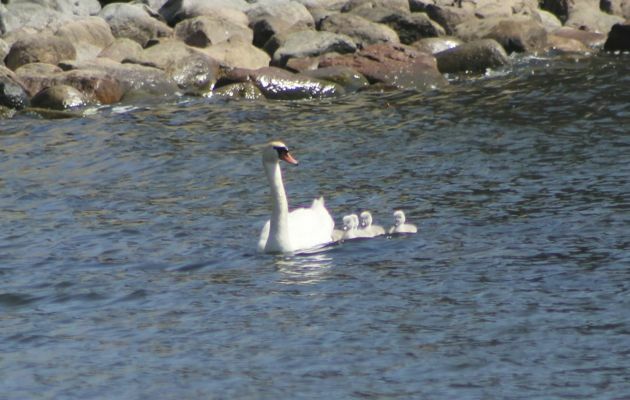 I was barely able to make them out across the water with my binoculars. Luckily other birders were on site to lend me a peek through their scopes and help guide me (birders are often friendly like that). So, (back in Stockholm) here I was basking in my glory, surrounded by dozens of these beautiful birds. 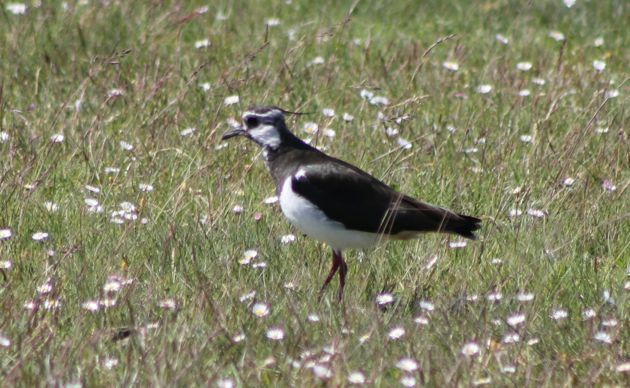 But I can imagine that, to the locals, these common birds are just “messing up” their green spaces. Still, I was glad to be able to snap some shots of these very special (at least to me) geese. 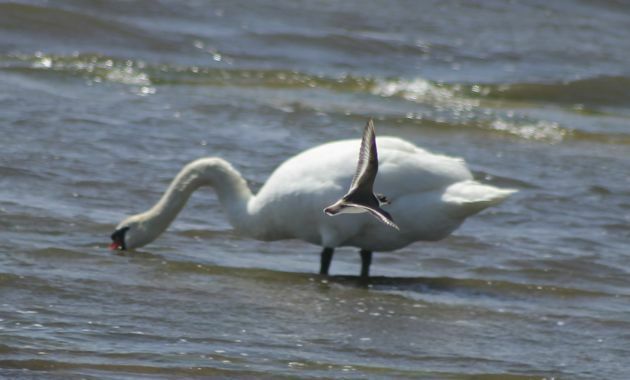 One of the ironies of travel is viewing common birds in foreign countries that we consider rarities, like Barnacle Goose, or invasive nuisances, like Mute Swan. My experience has also been that I often get better views of the rarity in the U.S. than in the bird’s native country, but that doesn’t seem to have been your experience. Thanks for the views of Sweden and Denmark!